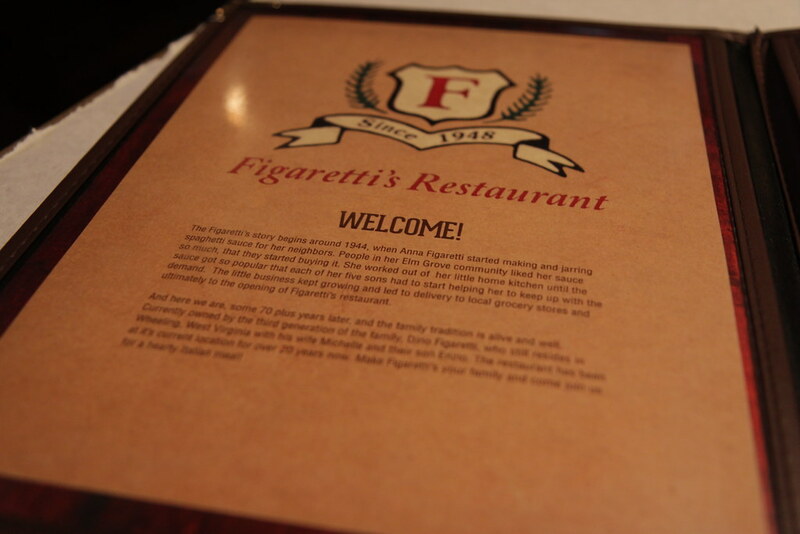 Figaretti's Restaurant is well-known in the Wheeling area. While I had never been, I had heard of the restaurant for years and even saw the pasta sauce sold in the local grocery store. 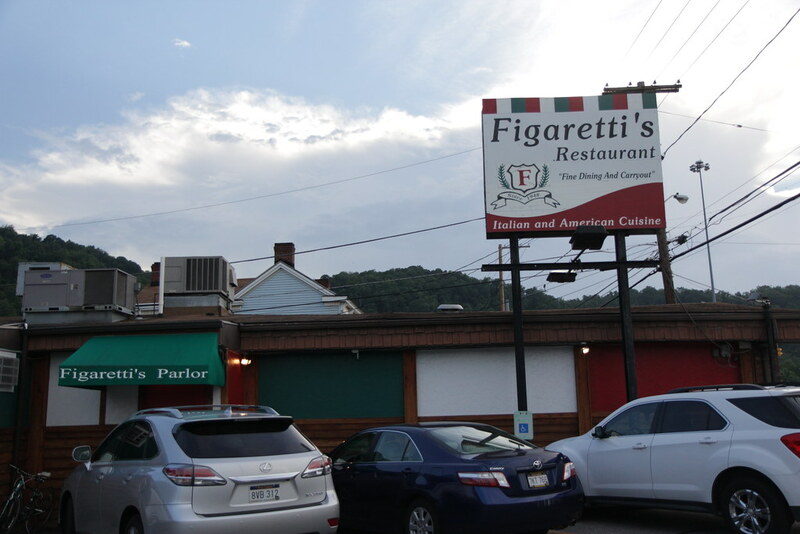 So when I was traveling through Wheeling, Tony and I stopped for dinner. The interior is dim, and the booze seems to flow freely. Lots of locals seemed at home here and answered by name. 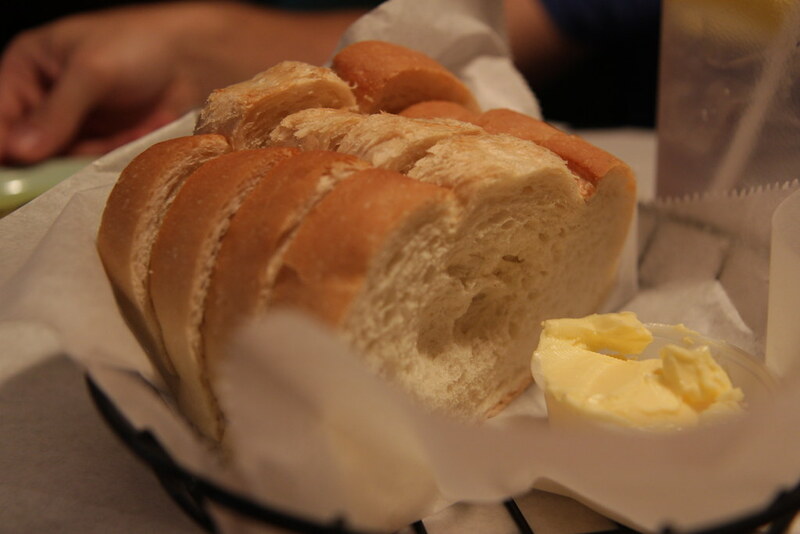 In typical Italian restaurant fashion, some bread and butter were brought to the table. 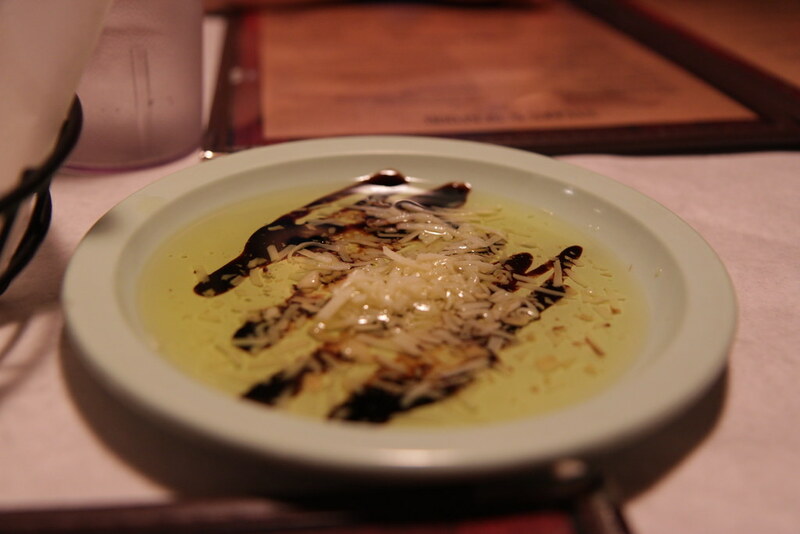 The bread was average; the olive oil/balsamic/parmesan mixture was nice. 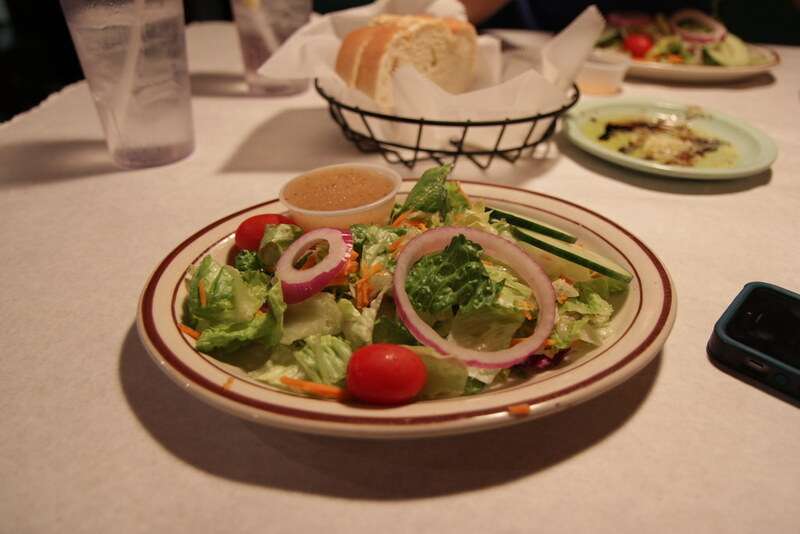 The house salad is where it started to pick up for me. Nice fresh greens, crisp red onion, firm tomatoes - and a dressing that I loved. The vinaigrette was tangy and full of flavor. 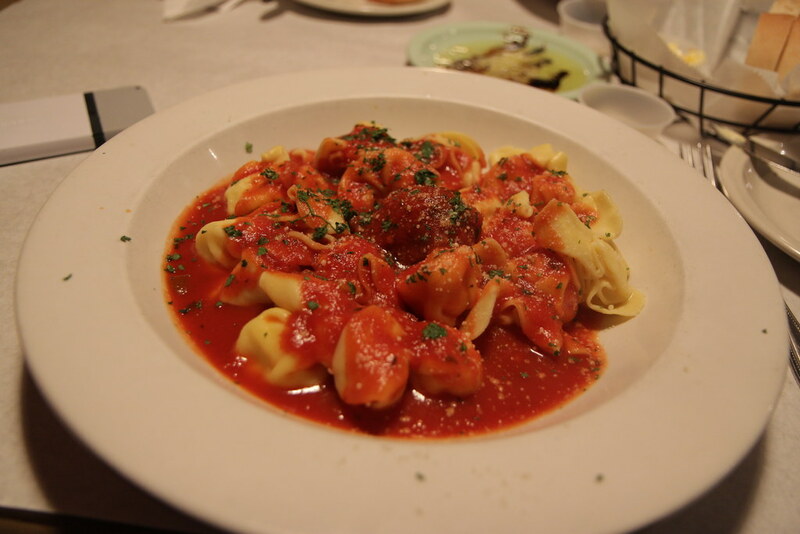 Tony ordered the house-made tortellini (I think). Which was super good. The pasta was smooth and thin and filled with a lovely cheese mixture. Very good. 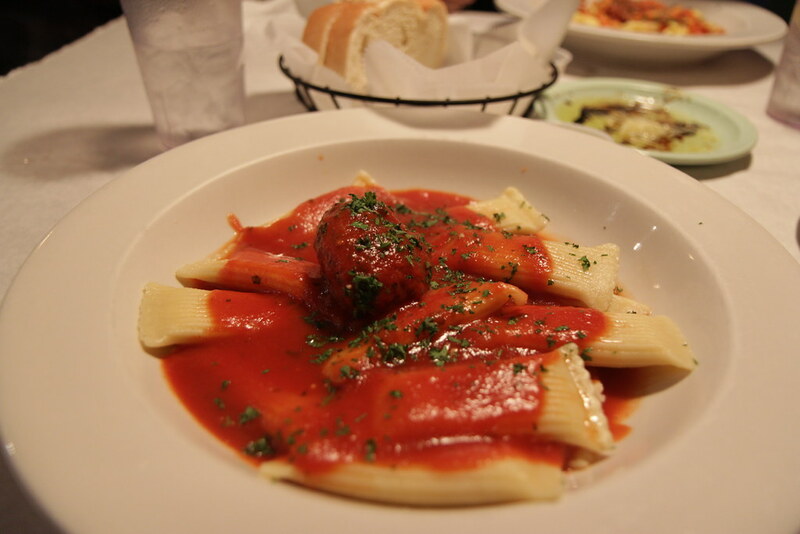 I went with the stuffed rigatoni - mostly because I don't think I've seen that anywhere else. The house sauce is quite good. It has a nice flavor with a blend of herbs and spices. The pasta was much thicker - chewier - than the other dish, but it, too, is filled with a delicious cheese mixture. And the meatball, while I didn't like it upon first bite, I kind of liked it more afterward once I got a full feel for the flavor and texture. Pretty good. 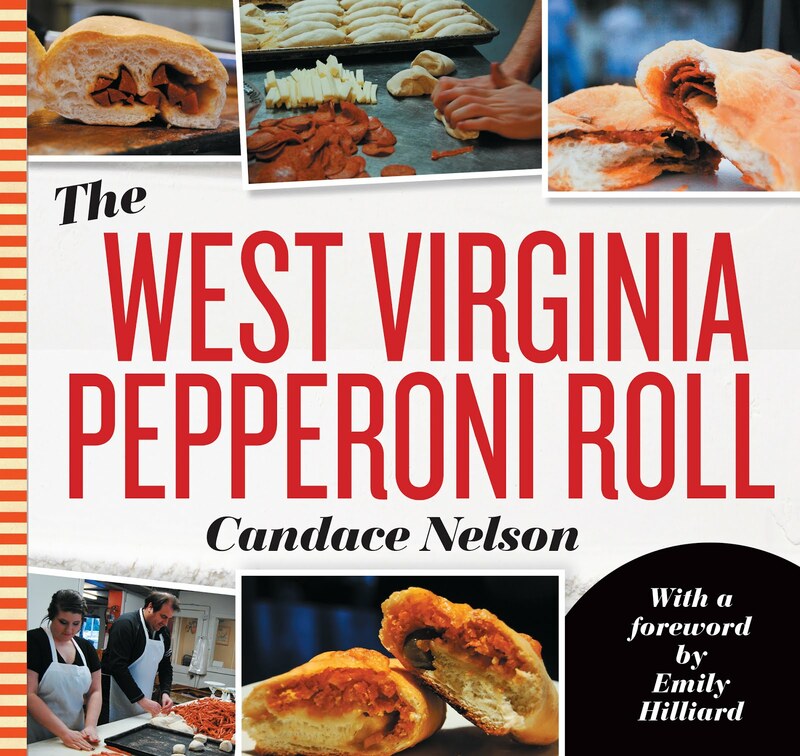 Italian restaurants are a dime a dozen in North Central (and Northern) West Virginia. But there's a reason why this one has been around for some time - it's good, homey and filling.